Starting September 2018, Dave’s Computers will be starting a local based referral program. When someone presents the banner or flyer at time of sale, 10% of the Labor will be donated to that organization. Examples of banners you can use in email or on your website. They will be edited with your organization’s name. 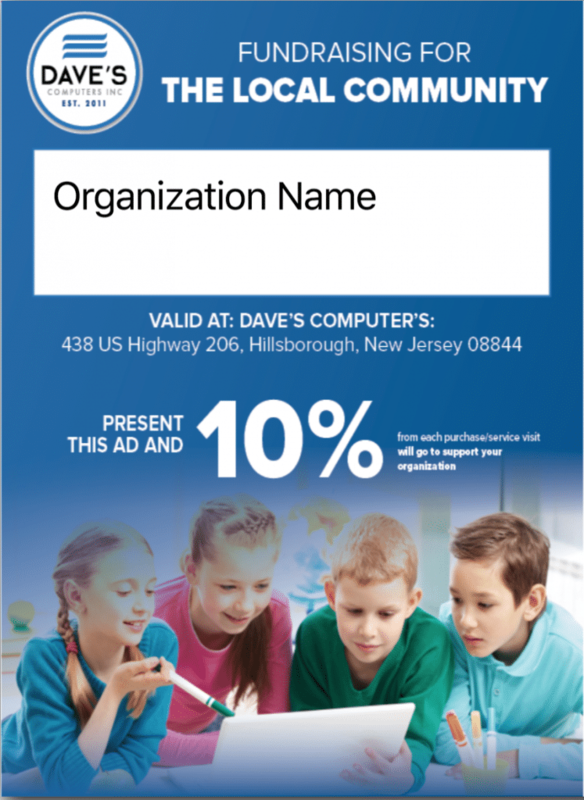 If you would like to participate in this program please email us at dave@davescomputers.com . Please mention your organization name, full contact details and URL of your website and social media if you have those.